From burned toast to raw eggs, there is no shortage of "hangover cures" to fix what ails you. Here's the science behind the best remedy for your pounding head and queasy stomach. Chinese researchers suggest chugging a Sprite the morning after. Or if you prefer to skip the sweet stuff, soda water may be a good alternative. How it works is that it helps the body better metabolize alcohol, and in particular, speeds up your ability to process aldehyde dehydrogenase (ALDH), which is thought to be responsible for the symptoms of a hangover. Interestingly, the scientists found that sipping herbal tea may slow down the process, prolonging your hangover. The results, announced this October, were published in the Royal Society of Chemistry journal Food and Function. In a separate 2011 study, researchers suggest that your best bet might be a cup of joe and a painkiller. Published in the peer-reviewed online science journal PLoS One, the study revealed that common treatments for hangover headache, such as caffeine and over-the-counter anti-inflammatory drugs, block the effects of your hangover. Best solution: drink coffee about four hours after drinking, when acetate levels begin to spike. But don't overdo it, since caffeine works as a diuretic and can further dehydrate your body, making you feel worse. A few other tried-and-true ways to curb the misery is to avoid drinking alcohol on an empty stomach and load up on carbohydrate-filled snacks to slow down the body's absorption of the alcohol, The Independent reports. Also, be sure to drink plenty of fluids the morning after, but avoid greasy, fatty, or spicy foods, which may be tempting but could make you feel worse. What about the infamous "hair of the dog"? 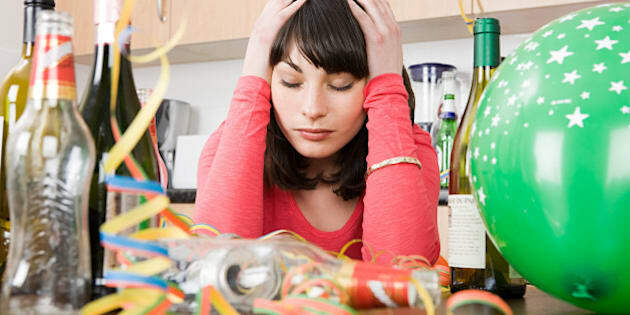 A 2011 study published in PLoS One found alcohol to be a poor hangover remedy as it causes greater alcohol dependence. Your best bet? Boiled or poached eggs, whole-grain toast, and a fruit smoothie. Hangover Cures: Do They Work?